Linear motion mud cleaner are the best technology available for screening solids. Our mud cleaner are made inhouse using the best materials and manufacturing processes available. We offer models available in scalping, desanding, and desilting configurations. 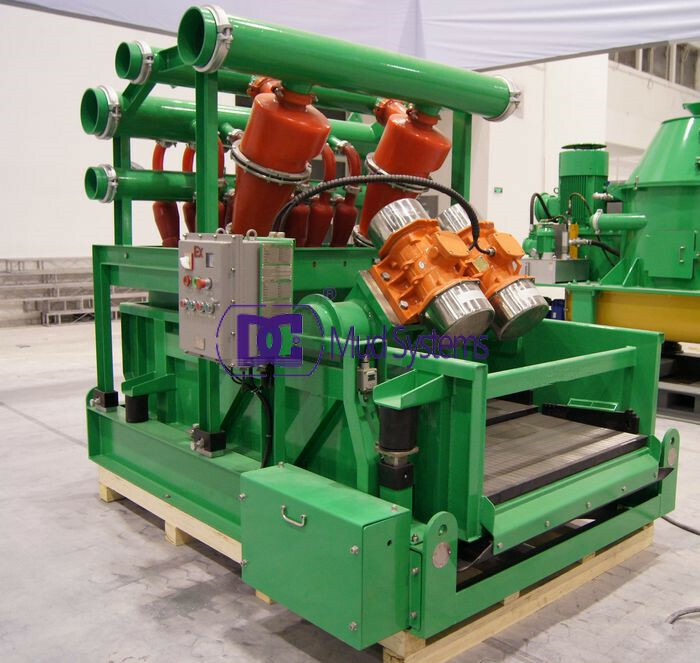 For urgently requirements, DC Solid control manufactured many sets with different treating capacity and flow mud cleaner in warehouse and enjoys a discount sale in earlier 2017. Drilling mud cleaner is also called Desander and Desilter assembly,which is the combination of desander,desilter and an underflow screen. Namely,mud cleaners consists of a two-stage separation process using a combination of hydrocyclones mounted over a shale shaker to operate as a single unit. In oilfield solids control,drilling mud cleaners are very efficient for oil gas well drilling mud purification system. Mud Cleaners are one of the important equipment for solids liquid separation system.